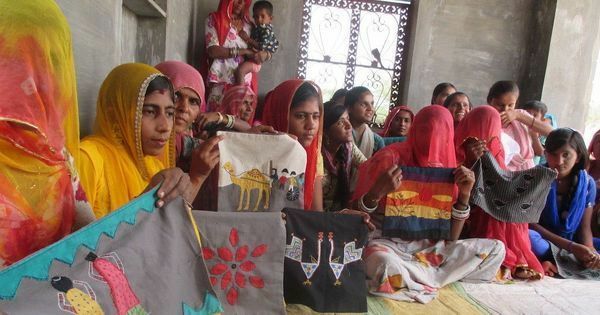 Education and an enterprising spirit helped women from the community find their own feet. They were doctors. They were lawyers. They ran family stores and worked in government offices. Over the past few years, through the course of my research on Sindhi Hindus, I’ve been delighted to listen to the stories of how women in pre-Partition Sindh came to enjoy freedoms, big and small, before their counterparts in many other parts of the country did. Some owned property, made financial decisions and even defied convention by deciding whom they would marry. Part of the reason urban Sindhi women were able to work outdoors before their counterparts in many other parts of the subcontinent was because they had the opportunity to go to school as early as 1885. That’s when a reformer named Navalrai Advani, who was influenced by the Brahmo Samaj movement, opened the first school for girls in the town of Hyderabad in Sindh. 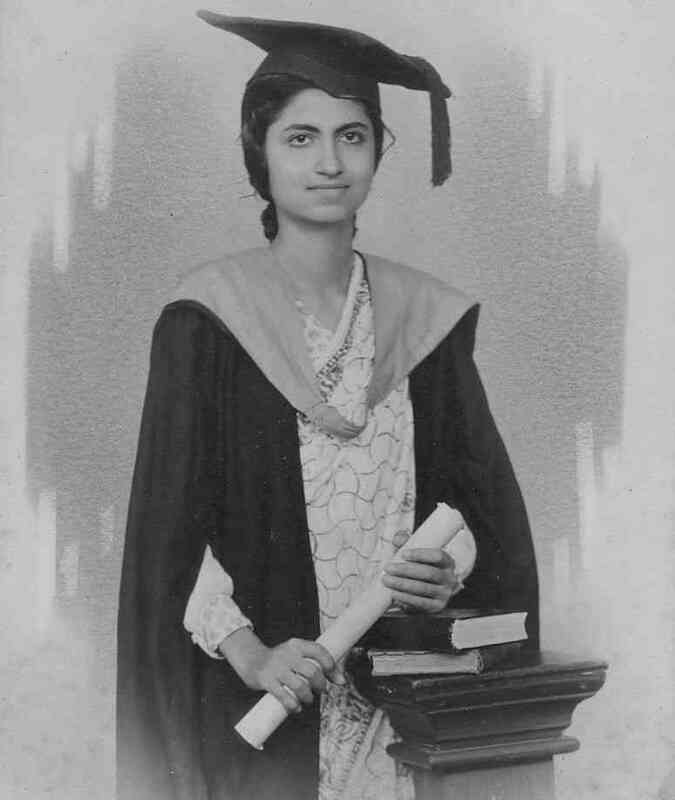 Nineteen-year-old Mira Advani, a first-class double-graduate with an MA and MSc in pure and applied Mathematics from DJ Sind College in Karachi in 1943. One indication of the relative openness of pre-Parition Sindh is the fact that the women worked as ticket checkers for the railways. This didn’t just mean that woman were confident enough to do so and that their families supported these ambitions: it also implied the men of Sindh accepted the authority of a woman. I learnt about Sundri Shahani and her sister Popati Mansukhani, who checked passenger tickets on the Hyderabad-Kotri commuter line. In an era of child marriage across India, both women married in their late twenties – and to men of their choice. After Partition, they continued to work and to support their families. Many people I’ve interviewed told me that their parents “did love marriage” in Sindh of that period. Others spoke of sisters who never married because they were disabled or otherwise considered undesirable. But their families were unwilling to compromise and marry them off to unsuitable grooms. Some of the opportunities that opened for Sindhi women were the byproduct of conflict. During the second World War, sea routes were closed and many men who had trading outposts in ports around the world – Sindhworkis, as they were known – were isolated from their families in Sindh. Among those who could not return were Hassaram Ramchandani and his sons, who ran stores in Cairo and Basra. It was left to Ramchandani’s daughters, Sati and Ishwari, to manage Lucky Store, a front room of their home near Tikunda Park at Gadi Khato in Karachi. Sati Ramchandani was a teacher in a balkanjibari, or kindergarten. She took turns running the store with Ishwari Ramchandani who, as her son Ashok Shahani told me, worked in the Locust Control office until Partition. There were no toilets in the office, so Ishwari Ramchandani wrote to Mahatma Gandhi before Partition, requesting his support in getting them built. The correspondence, claims Shahani, a Supreme Court lawyer, eventually led to the Indian government allocating money in 1950 for one toilet in each central government office. 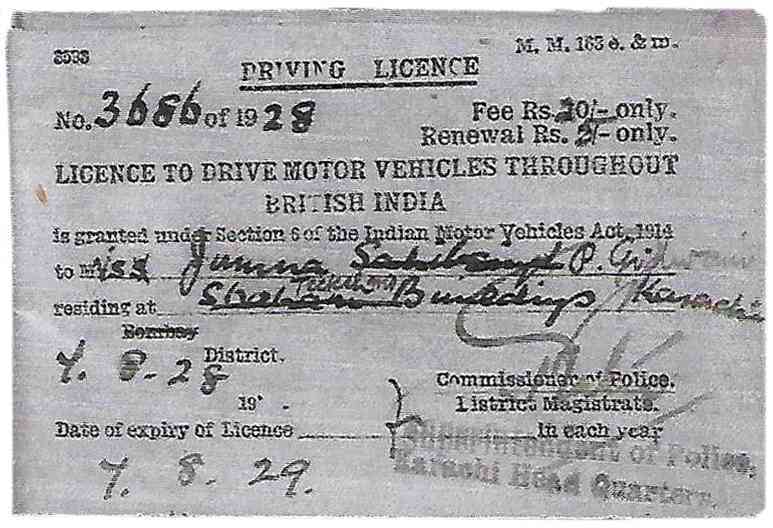 Jamna Pahlaj Gidwani's (nee Jamna Sahibsing Shahani) driving licence. In addition to having taking advantage of new educational opportunities, upwardly-mobile Sindhis were influenced by the freedoms that their British rulers afforded their women. I was told a charming story about Ruki Mirchandani, wife of Dr Naraindas Mirchandani, driving her children home to Karachi’s Old Clifton in the 1930s and singing bhajans along the way to entertain them. Ruki Mirchandani loved to drive – as did several Sindhi women of her generation. Among them was Jassie Kundanmal Ramchandani (Jessie to her friends), who took to driving even before she got married. Jamna Shahani, daughter of educationist Sahibsing C Shahani, had a driving licence in 1928 and drove for years until, as her son Nelum Gidwani recalled, she ran over a chicken somewhere in France and decided she’d had enough of it. When the Karachi-born Indroo Sitlani learnt to drive in Bombay shortly after Partition, it was one of his sisters who taught him. 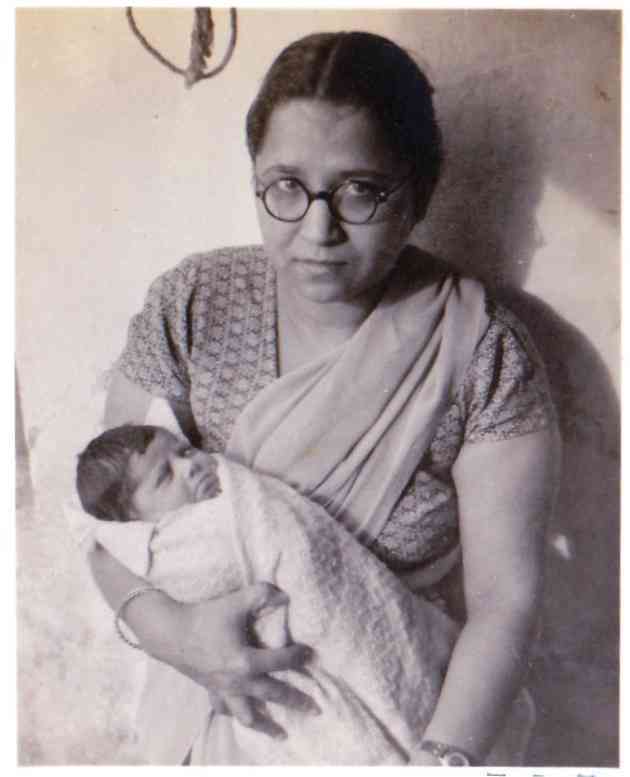 Dr Hari J Mirchandani, carrying Meena, her brother’s daughter, whom she had delivered two days ago in Delhi in 1950. 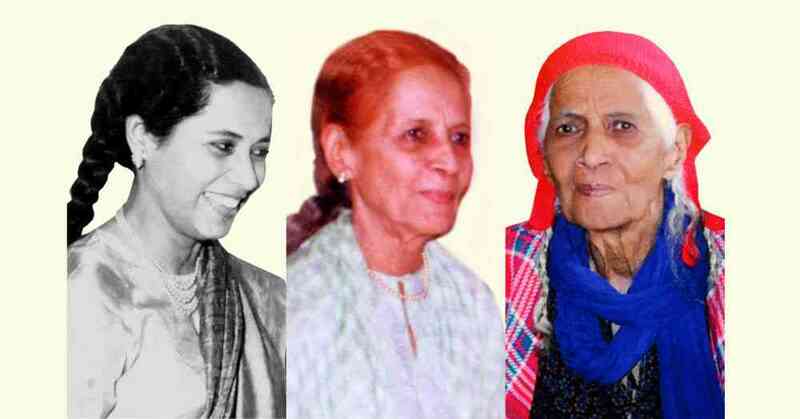 Several women in pre-Partition Sindh were pioneers. The list of South Asians who became barristers at three Inns of Court in London before Independence features the names of two Sindhi women: Saraswati Dayaram Mirchandani, who was called to the Bar in 1937, and Shakuntala Rochiram Hingorani in 1947. There were also a significant number of women doctors coming out of Sindh from the 1930s, a boon at a time when families were reluctant to have women attended to by male doctors, which meant that mortality rates during pregnancy and childbirth were high. One of the earliest was Devi Lakhani, LMCG Edinburgh. Her father, Dr Valiram Lakhani of Hyderabad, had sent her to study overseas in the 1920s. Many young Sindhi women studied medicine at Lady Hardinge College in Delhi, and lived in the hostel in the 1930s and ’40s. Dr Hari J Mirchandani set up a practice in Hyderabad and Mirpurkhas, which moved to Delhi’s Karol Bagh after Partition. She then rented a house, and saving every paisa she could, built a one-storey building for her clinic, eventually adding a quarters above with a maternity home on the ground floor. Lila Chablani, who ran a nursing home in Sukkur, stayed on after Partition and took care of her parents as they aged. In 2009, Pakistani philanthropist Dr Abid Rizvi worked with the Sindh government to transform Dr Chablani’s then decrepit maternity home into a modern facility, the Sindh Institute of Urology and Transplantation Chablani Medical Centre. Lila Chablani. Photo courtesy: Sujata Tolani and SIUT, Sukkur. Sindhi women also fought for Indian freedom. 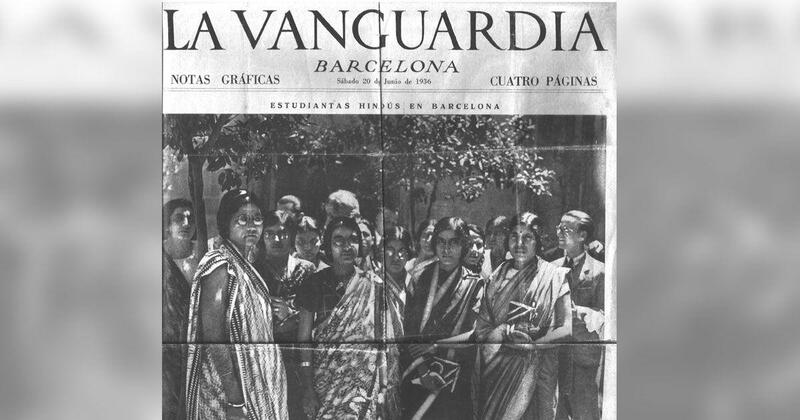 The frail Devi Kripalani – Kamla Hiranand after marriage – led protests and challenged her jailers during the Quit India movement. Jethanand Shahani ran a printing press in Karachi. It was used to circulate messages inciting people to carry out satyagraha against British rule. When he was imprisoned for six months, his wife Kala lived alone despite entreaties of both sets of parents, and continued to manage their secret press. Among the notable organisations of the time was the Om Mandli, a socio-religious organisation established in Sindh in 1935 that was later renamed Brahma Kumaris. Many of the early followers of founder Dada Lekhraj were women of the Sindhworki community, and as Devendra Kodwani, Dean at Open University, United Kingdom pointed out, the widespread travels of the men were likely to have impacted their outlook on life and views on the role of women. These were women certainly oppressed by dowry and family elders. Monica Bhojwani, who was born in a prisoner of war camp in France in 1940, told me about a neighbour whose mother-in-law gave her no privacy even in her bedroom, and no freedom to even express physical affection for her children. Still, long years of running their homes and families while their menfolk worked in other countries, certainly nurtured capability and decision-making abilities. Academic Madhuri Sheth told me that when she was a child, her father, Udharam Gurnani, had friends who were women from Sindhworki families. It was an indicator of the progressive nature of Sindhi society. In the 1940s, men and women could be friends, simply enjoying each other’s company and conversation. Saaz Aggarwal is the author of Sindh: Stories from a Vanished Homeland, Sindh: Stories from a Lost Homeland and The Songbird on my Shoulder.